30 days of inspiration | What Inspires Me? 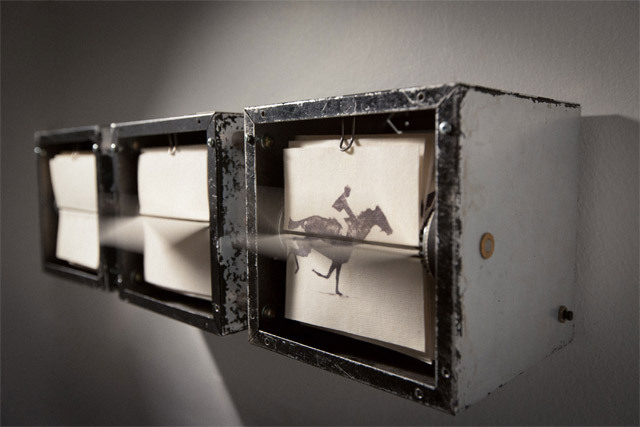 I thought this was truly amazing and completely innovative, appealing to me instantly the way a old technique is brought to life again through modern technology. I’d enjoy either getting to interact with this or try my hand at making my own version, then digitalising it. As going digital is what I find works most of all in this instance and example, what stood out most was how a image was timed to go from one flip book to the next, all down to time managment and sheer organisation of planning to make it unfold cleanly and with the greatest of care. Having looked at soviet propaganda posters by the likes of Alexander Rodchenko, El Lessitzky (beat the whites with the red wedge 1920’s) and Gustav Klutsis, I saw a variety of various posters depicting key parts of Russian soviet history, ranging from the world wars with the soviet marching on Berlin to the Cuban crisis later in the 19th century. 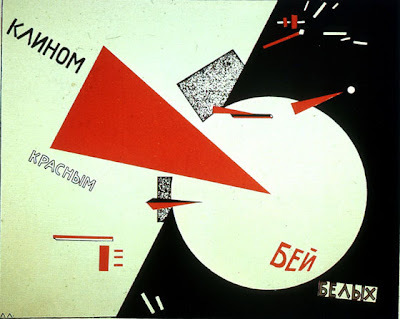 Such events have been told and shown through the element of movements in design, with the likes of constructivism and Suprematism coming forth each telling the stories in there own manners, whether it was through the medium of shapes, typography or the new form of photomontage, created by Klutsis (Boule de Suif 1934). 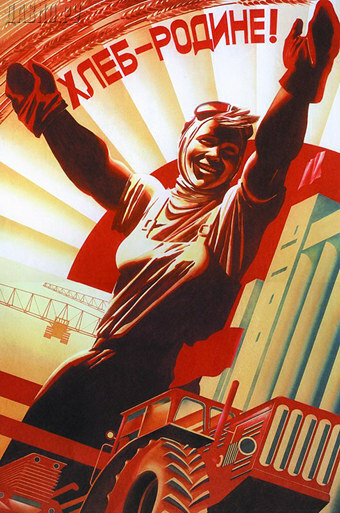 The posters were a creation built on the image of putting the message across, like the space race and Russia’s idea of trying to get the moon before the Americans, long have the Russians had ambitions similar to the U.S, the soviet striving for a utopia and forever pushing forward in the hope of moulding a country into the perfect image, the ideal that everyone could picture and want. Making the U.S into a form of distopia, appealling to nobody ‘come to the soviet and look at what we have’. The posters a lot of the time were based around the political conflicts between two countries, locked in conflict. 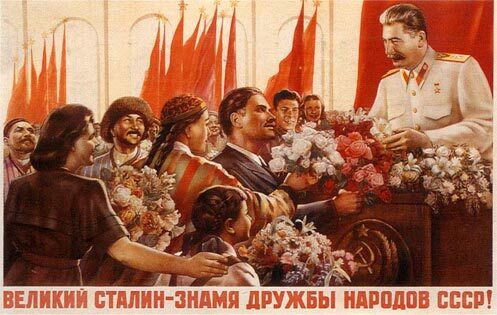 The propaganda was a form of advertising, whether it was over arms production or various ranges of cigars to farming, they are a way of life back then and now, putting a country on show. With it having been brought up from the days of the revolution the country needed such artists and painters to come forth, draw the country up out of a repression and gave the citizens hope, something to look forward to. Explaining to them 9 times out of 10, the changes the leaders and dictators wanted to bring about, whether it was culture, an ideology or general war purposes. To me the posters are a key focus in today’s world just as much as they were over a 100 years ago, they heavily influence me in the work that I produce and am constantly wanting to improve upon what I pick up. Its a form that attracts and draws me in, that I have the vision of using such styles and using them to show the ideology and cultures of the world today or just the UK. Perhaps adopt the shapes of Lessitzky and weave them in with my own idea’s, as I often have already. The starwars posters were just a spot of fun, to show and depict how the modern day puts a spin on a technique years old and steeped in history, adopting and putting forward the mediums that made propaganda so successful, like the use of colours, types, solid human forms often built from shapes and the general layout. Featuring a “Totally London” piece, designed to promote London recently, it focuses on using type to create a image, no need for imagery made up of various layers and depths, or just taking too much attention from type as a lot of images tend to do. The type is the soul focus creating general centre point to work from and take everything in from, leaving out the possibility of missing any vital information. The tennis ball idea depicts the Thames and surrounding suburbs, so straight away without too much type you know where the event is and overall shape tells you what the event is, its purely simple,a characteristic I need to practice and apply to my own work, not over complicating as I tend to do from time to time. Also colours can play a key role, just take the “Strawberry fields festival” poster, they lend to create a image combined with the type and not need a vector or block of a image that can be repetitive and look like most other pieces, so such a combination has a perfect harmony and balance, that has been well thought out in advance. With it sitting upon the page with complete power, working alongside the white space, giving more of a flow and a air of freedom about it on the page, bringing out from being just another flat image. 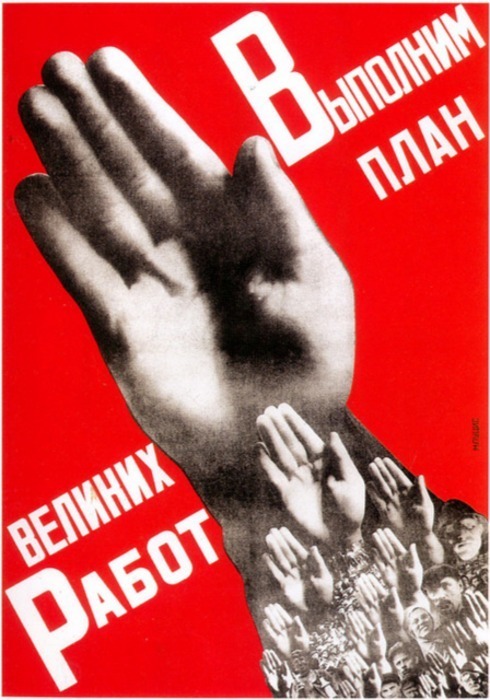 I then turned my attention towards the simple colours of Soviet propaganda posters and how the styles get spread into pieces to create a soviet feel, all of which is down to colour selection and again type, with the image becoming a tertiary priority in the pecking order of importance. The Ian Fleming Posters, capture a glimpse of what made the bond films, the world famous ladies of the generations that have passed by, and put them into a position that will ensure that we remember the components that created the success. Each woman depicts a different time, fashion and era that the film is based around, no real dates or information are needed, just these nostalgic eye catching prints. Its not all about the imagery either, the way they’ve been thought about on a whole is down to detail, the individual posters have unique types for each variation, it keeps them fresh, attractive and most defiantly appealing on a whole, whoever the audience may be. You will instantly be drawn in, scanning over everything and each time picking up a whole new component that wasn’t noticed before, they just have so much depth about them. They caught my eye when first discovered, and as a result opened me up to a new level of design, something like these posters i’d like to produce, a series would work best as here, they’d look random and pointless if only one of the posters was to be produced. The creator however had given thought to making a set, something that one day will stand as iconic, a lasting legacy as the films are and deserve to. Such a legacy I strive for and look towards achieving through such blogging and researchings of things that intrigue me and reflect myself. The Ian Fleming posters led me onto such designs as what I found here, where the type has created the image, and brings the life to it making it what it is without anything else keeping everything simple but to the point. Tomorrows post will pick up on these finds of mine and will snowball from there each day! Its time to finally dust off the old blog, and begin a new chapter so it seems, and here I am making a start on a new blog, soon to be packed with all that inspires me and becoming a research blog with which I can further my studies. It will be a hub for everything that grabs my attention and makes me strive to create something of equal greatness someday, so keep your eyes peeled over the coming months and bare witness to what really makes me tick and push me in my career as a graphic designer.